When it comes to getting a flat stomach, most people think they need to do long, boring cardio. You know the kind I’m talking about — where you spend over an hour on the treadmill or elliptical machine. But who wants to spend hours in the gym? That’s why if you want to lose ab fat in the most time-efficient way possible, you’ve got to do high-intensity cardio. 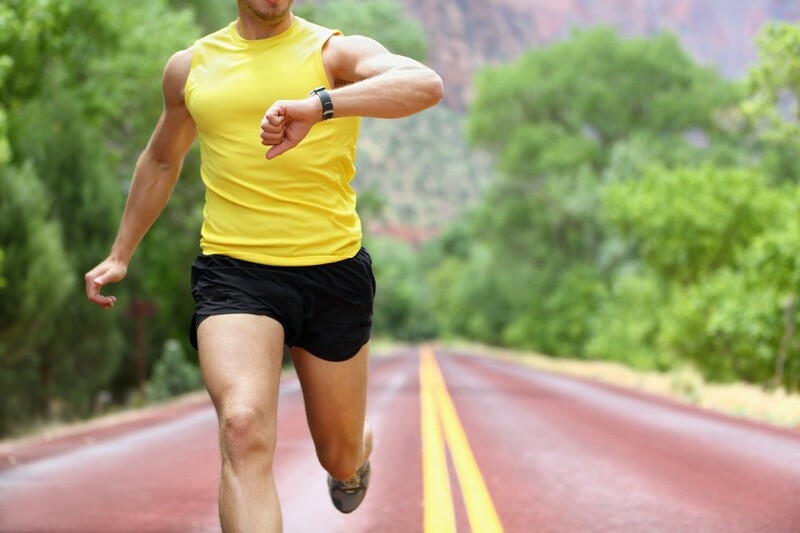 With high-intensity cardio you can be in and out of the gym in 20 – 30 minutes. Not only will you save time (especially if you’re like the rest of us — busy, busy, busy!) but you’ll actually burn more fat. A study from the University of Virginia confirms this. Subjects were divided into three groups. One group did no exercise. The second group did your run-of-the-mill low intensity (long) cardio. The third group did high-intensity cardio. In plain English — high intensity cardio will burn off more stubborn stomach fat than low-intensity exercise or no exercise at all. So how do you do High Intensity Cardio? Simple. Pick an traditional cardio exercise. Good options are the upright stationary bike, row machines and the elliptical machine. .
Then, you simply alternate between short burts of all out effort followed by rest. For example, say you’re on the row machine. For the first minute you might do an all out “sprint”. Then for the second minute, bring it down to a light to moderate pace while you let your body recover. Repeat this process for the next 20 minutes (30 if you’re “gun ho!” about losing your ab fat), alternating between a minute of all-out intensity followed by a minute of rest. Do this style of cardio three times a week in addition to your regularly scheduled weight training sessions and you’ll have the body of your dreams in no time!